The ground won't receive any demerit points. After coming across severe criticism for the Ashes Boxing Day Test, the Melbourne Cricket Ground (MCG) curator unfurled a result pitch this time around. It looked flat for the first couple of days as many once again targetted a poor surface, it looked completely different when India bowled as they easily picked 20 wickets of the opposition thereby winning the Test by 137 runs. Meanwhile, the International Cricket Council (ICC) has rated the pitch offered at the MCG as average. This rather comes as good news for the ground officials as their chances of hosting a Boxing Day Test were in danger. 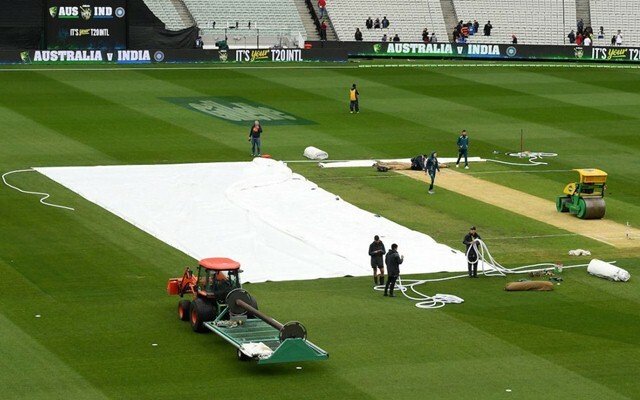 The MCG had received three demerit points after offering a flat pitch for the game between Australia and England in 2017. According to the ICC rules, a venue loses international status if it tallies five demerit points over a rolling five-year period. Though many would disagree with the fact that it was an average pitch, the MCG officials would be happy as they don’t get any demerit points over it. As per a report in Sydney Morning Herald, MCG’s bid to host a Boxing Day Test has been boosted now after ICC’s latest rating which is a remarkable improvement from the last game. However, the newspaper also reported that the poor surfaces is still a worry and the pitches are likely to undergo a major overhaul under curator Matt Page. “Despite this rating, the MCG pitches will undergo a major revamp under curator Matt Page. He had worked diligently to improve the sand base and add moisture after the Ashes debacle but the venue is about to invest in up to four new pitches and greater technology,” the report read. Also, the current pitches are 15 years old and will be continued to be used for the next season as well. It takes close to three years for the new pitches to be grown.